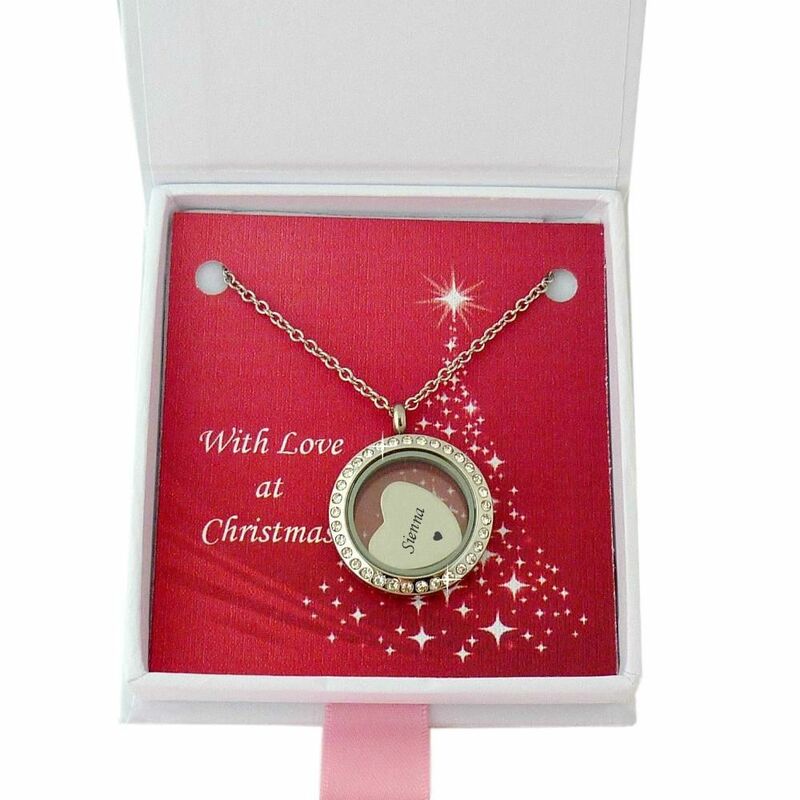 We just love this stunning memory locket with engraved floating charm, presented in a Christmas gift box. 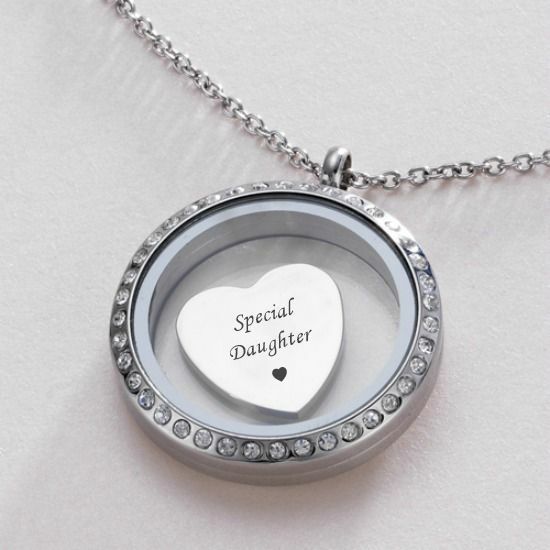 These lockets are specially made for us, to our exact specifications, using high grade stainless steel and top quality Czech glass crystals, so you can be sure of the superb and lasting quality of each necklace. 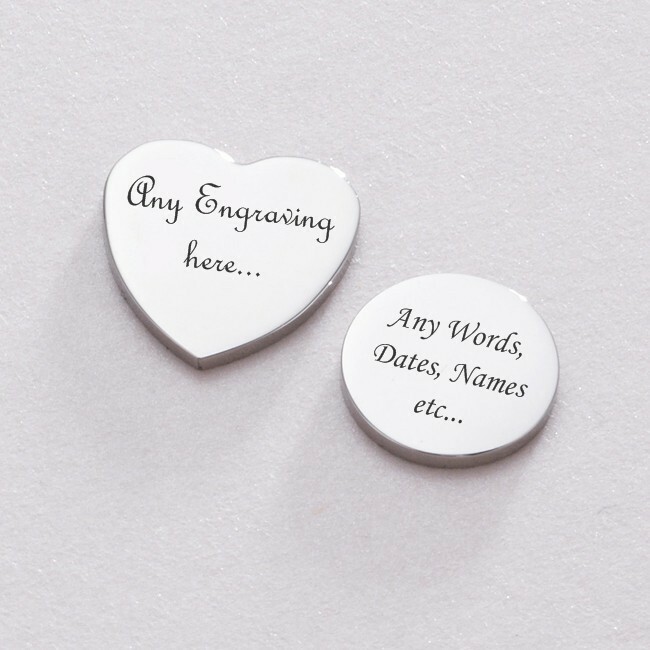 Add a special message of love and thoughtfulness to your jewellery gift with the engraving of any words, names, dates or special messages of your choice engraved on a heart shaped or round floating charm. 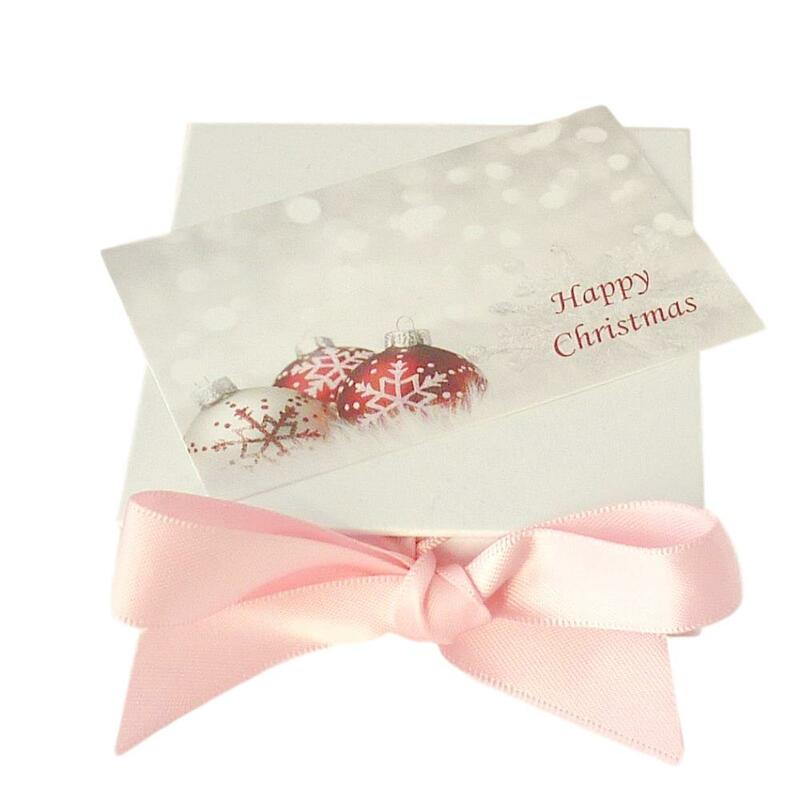 Express Delivery is available on all items in our exclusive Christmas Jewellery Gift collection! 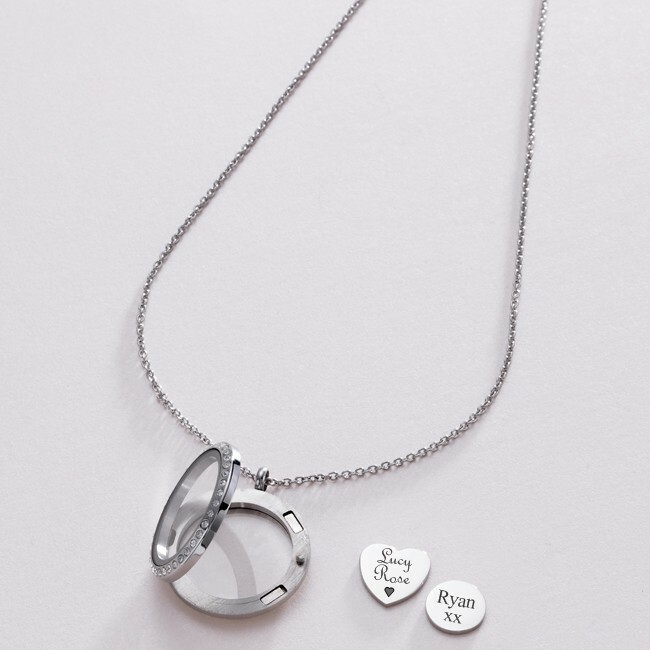 Choose either a heart or round charm with all engraving included in the price. Additional charms can also be purchased. Up to three charms will fit inside the locket. Presented in the Christmas gift box shown with the little Christmas gift card shown. Sizes: Chain length 20 inches (can be shortened on request). Locket size 25mm diameter. Heart Charm 17mm x 17mm. Disc charm 13mm x 13mm.